Hands up, who watched last night’s Great British Bake Off!? There were some terrific trifles, perfect petit fours and macaroons to make your mouth water. The poached meringues weren’t the prettiest though, and who knew custard could cause such a débâcle? If you think you could give the contestants a run for their money, and you could whip up a marvellous treat (without thieving your competitor’s crème patissiere), then it’s time to ‘prove’ yourself. 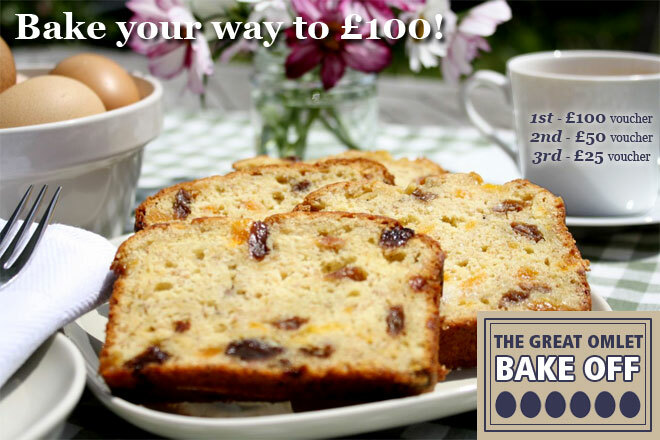 Enter the Great Omlet Bake Off and you could win a £100 Omlet voucher! Our top 10 bakes will be put to the public vote later this month. Don’t forget, if you bake using any Omlet products, be it an apron or an Egg Skelter, you can upload a picture to our website. We will pay you £1 for each photo we show. Just visit the page of your product to upload. 1. Preheat the oven to 160c. Cream the butter and sugar until light and fluffy. 2. Add the beaten eggs and mix well. 3. Cut the apricots into small pieces and add along with the sultanas and zest or vanilla. 4. Add the banana, then stir in the flour. 5. Place into a lined loaf tin and bake for 60 minutes until golden brown and a skewer inserted comes out clean. Cool on a wire rack. 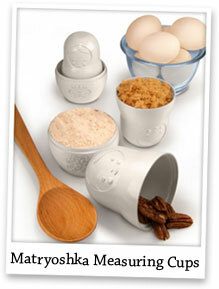 Matryoshka Measuring Cups – Baking will never be ‘doll’ with these measuring cups. Just like russian dolls, they stack together neatly and range from ¼ cup to 1 cup in size. A bakers best friend! Utterly Scrumptious Cake Cases and Toppers – Pop your cake batter in these pretty cases and you’ll have beautiful buns every time. 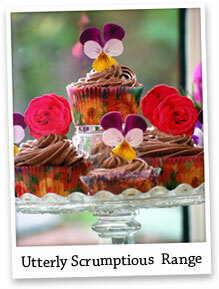 The floral toppers stick in easily, adding a professional finish. Just £3.60 for 60 cases & £3.15 for 40 toppers! 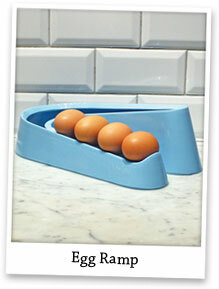 Egg Ramp – Keep your eggs at room temperature with the Egg Ramp. They will be within easy reach for all that baking, and you’ll know which eggs are the freshest. Available in cream, black, red and blue.